The Citi ThankYou Premier Card is now offering 60,000 bonus ThankYou Points after $4,000 in purchases within the first 3 months of account opening. For the majority of 2016 the ThankYou Premier had no sign up bonus whatsoever, then Citi came back with 40k points for a $3k minimum spending requirement bonus in December 2016. Since then we’ve seen the bonus fluctuate between non-existent to typically no higher than 50k. 60,000 ThankYou Points is the biggest bonus the card has ever offered. With no annual fee the first year and lucrative category bonuses, there is no doubt you should scoop it up if you haven’t opened or closed a Citi ThankYou Prestige, Premier, or Preferred in the last 24 months. If you have, you’ll need to wait until 24 months pass to be eligible for the bonus. Eligibility: If you have opened or closed a ThankYou Prestige, Premier, or Preferred in the last 24 months you are not eligible for the sign up bonus. The Citi ThankYou Premier Card now offers 60,000 bonus ThankYou Points after $4,000 in purchases within the first 3 months of account opening. Thank You points have two primary uses. Use them like cash to purchase any flight on any airline with no blackouts. Transfer them to miles with 15 airline loyalty programs. Then they are whatever miles you chose, subject to those rules. If you use these like cash toward any flight, you will get 1.25 cents each of value, making the sign up bonus worth $750 toward any flights with no blackouts. And when you redeem ThankYou Points like cash toward any flight, the operating airline sees you as a cash-paying passenger, so you earn miles for your flights. Instead of redeeming the points like cash, you can also transfer your ThankYou Points to one of the 15 airline partners and one hotel partner. The best partner tends to be Singapore Airlines, although that will vary slightly depending on your travel goals. In 2015 Scott transferred ThankYou Points to Singapore miles to fly United First Class to Hawaii, United economy to Madrid, and Avianca Business Class to Buenos Aires, and in 2016 he used them to fly Singapore First Class from Sao Paulo to Barcelona. I’ve used Singapore miles to book United Business Class to Buenos Aires various times, as well as to book an economy flight on United from Madrid to the United States (which is a 2.5k miles cheaper than the standard 30k price). And most important to the luxury-inclined, Singapore miles are the only miles you can use to book premium cabin awards flying Singapore Airlines, which includes Singapore Suites. I use Etihad miles often to travel between Argentina and Brazil, and expensive cash flight market, as they have cheap mileage prices to fly Brazlilian airline partner GOL. Flying Blue’s Promo Awards can be great deals, offering big discounts off standard award pricing between specific (rotating) cities in North America and Europe. In November of 2017, Citi added Avianca as a transfer partner for ThankYou Points, which very likely could be Thank You Points’ second most valuable transfer partner. This is great news for those locked out of earning United miles via Chase cards because of the dreaded 5/24 rule, since Avianca is in the Star Alliance (which allows access to the same award space United has access to) and Avianca doesn’t collect fuel surcharges (a typical problem with many foreign mileage programs). If you applied for this card within the last 90 days when it still had the 50k bonus offer, call Citi to match to the higher 60k offer. If you signed up for lower sign up offer within the last 90 days, Citi has a pretty good track record of matching sign up bonuses to what’s currently available. Call the number on the back of your card or send a secure message through your online account, the sooner the better. The Citi ThankYou Premier Card offers 3x ThankYou Points on travel and gas and 2x ThankYou Points on dining and entertainment, with no limit on bonus ThankYou Points earned. Restaurants include sit down places, take out, fast food, and even bars and nightclubs. Entertainment includes movie theaters, sports tickets, museums, and a lot more. For a full breakdown on exactly what counts and what doesn’t, check out Citi ThankYou Premier Categories Change Today: 3x Gas and Travel; 2x Dining and Entertainment. Offering both 3x on travel and gas is incredible for travelers. Throw in 2x on dining and entertainment, and this card has among the best categories out of all travel rewards card, especially for a low annual fee like $95 (which is actually waived the first year). The Citi ThankYou Premier Card has no foreign transaction fees. It also has chip technology for global acceptance, so it’s a great card for overseas travel. 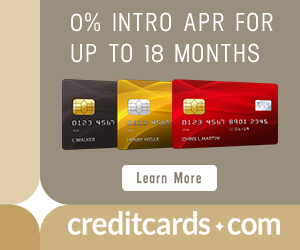 The card has a $95 annual fee, but it is waived for the first 12 months. The ThankYou Premier is subject to Citi’s sign up bonus rule, which is that you are only eligible to earn a sign up bonus if you haven’t opened or closed a card from the same type (brand or co-brand) within the last 24 months. 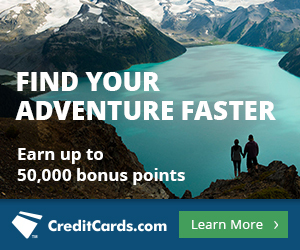 So if you have opened or closed another Citi Premier, a Prestige, or a Preferred card in the last two years you cannot earn the 50,000 ThankYou Point sign up bonus. You can apply for no more than one consumer Citi card in an eight day period. If you want two Citi cards, get them on days 1 and 9. You can apply for no more than two consumer Citi cards in a 65 day period. If you want three Citi cards, get them on days 1, 9, and 66. I’m happy to see an increase in the sign up bonus for any card, and it’s even better when it’s for a card with great benefits like the ThankYou Premier. You can redeem these 60k points for $750 worth of paid flights, or potentially for a much higher value by transferring to an airline partner for redemption on international and premium cabin award flights. I value ThankYou Points at 1.9 cents each when transferred to airline partners, making the bonus worth roughly ~$1,140 . This is as good as I’ve seen the bonus get for the ThankYou Premier. It’s previous record high was 50k for the same $4,000 within three months minimum spending requirement. If you haven’t opened or closed a Premier, Prestige, or Preferred card in the last 24 months, then you should seriously consider signing up for this card. It’s got a lot to offer for free the first year, and for a relatively small price tag after that.